This is a brand new and surprisingly simple solution to the age old problem of communicating effectively with patients. 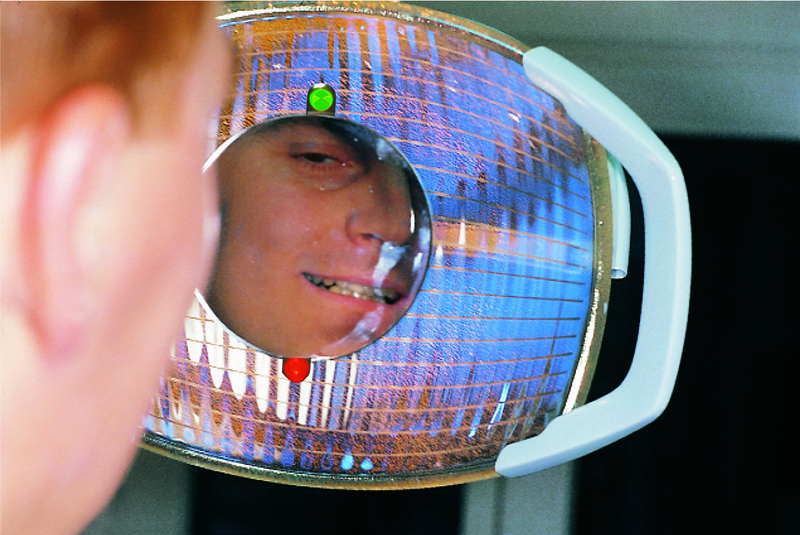 The REFLEX COMMUNICATOR™ is an inconspicuous mirror attached securely to the operating light, allowing the patient to view his or her mouth directly, and observe what is happening. an excellent tool for easing fear and tension, and freeing the orthodontist to concentrate on intricate procedures. The light and mirror are positioned onto the mouth and encourages patients to stay still as this is the only position to watch. no necessity to reposition the lamp. The REFLEX COMMUNICATOR™ is a particularly useful accessory during intraoral procedures involving orthodontics, oral hygiene instruction and also during consultation when description and advice is needed.